EXCLUSIVE!! 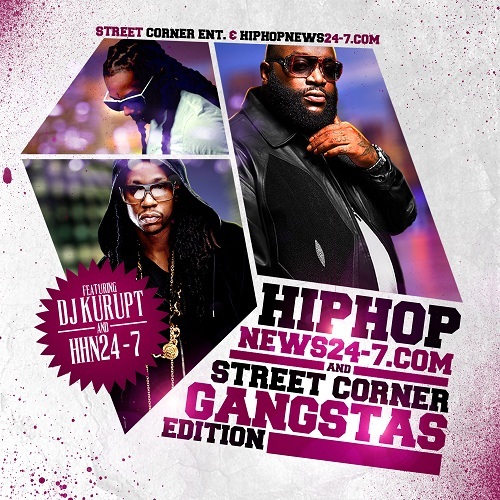 !…The Official “HipHopNews24-7.com” Mixtape Dropping Today between 7-8PM!! — Hosted By Our Staff & Crew!! The wait is over!! Today the official HipHopnews24-7.com mix tape is dropping between 7-8 pm. This mix tape will contain some of the hottest music that’s out right now. DJ Kurupt is no stranger to bringing that fire heat. Look forward to songs from independent artists as well. We have over 164,000 members on HipHopNews24-7.com, so we wanted to give indy artists a opportunity to be heard on a nationally promoted mix tape. Look out for drops from our Staff and Crew with blends and exclusive cuts from DJ Kurupt!! This MIXTAPE will be posted on 13 different Hip Hop websites!! atlanta bloggerEXCLUSIVE!! !...The Official "HipHopNews24-7.com" Mixtape Dropping Today between 7-8PM!! -- Hosted By Our Staff & Crew! !